The bird reserve at Kapp Linné stretch from west of Randvika, down to the south east end of Fyrsjøen, with the exception of the area surrounding Isfjord Radio. The reserve also includes the sea and surrounding islands up to 300 m from the shore with low tide.  Note that from 15th of May until 15th of August, all form of movement within the reserve is prohibited, including transportation by sea or through the air. The Northern or Arctic Fulmar is a highly abundant sea bird found primarily in subarctic regions of the North Atlantic and North Pacific oceans. 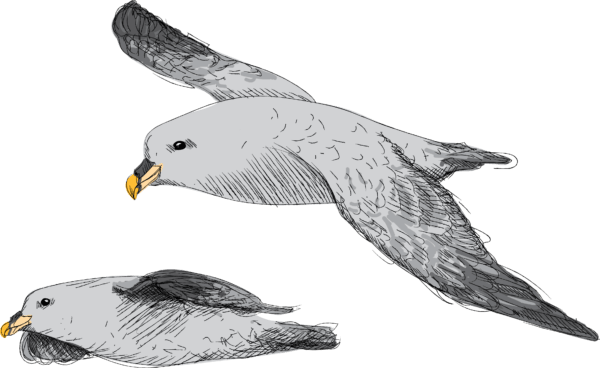 True storm birds, the fulmar resembles a seagull but is in fact part of the petrel family. The Fulmar can become 50 years old, up to 48 cm long, weigh 750 grams and have a wingspan between 101–117 cm. Their diet consists of fish (fish entrails from fishing vessels). They spend most of their lives out at sea. The population is thought to be almost a million pairs. 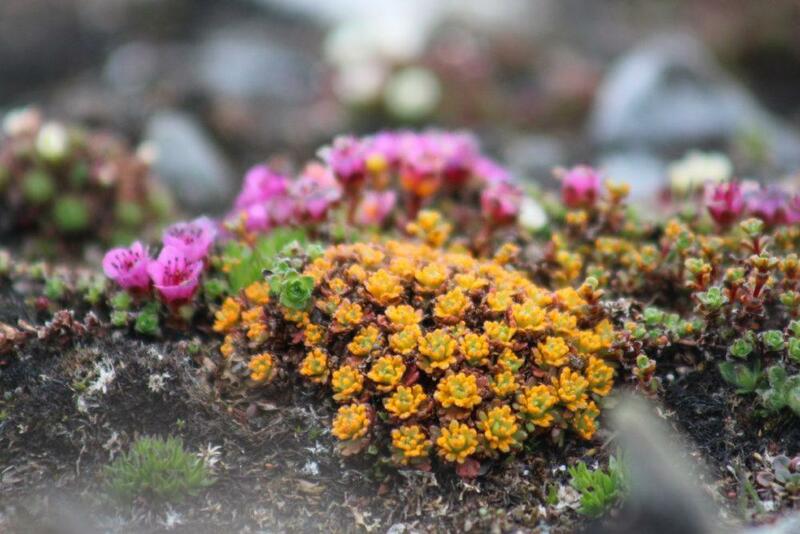 They make their nests on inaccessible cliff ledges and steep mountain slopes to protect their eggs from predators. The eggs are hatched after 55–57 days. If they get uninvited guests the young can spray a vile scented oil around them that stick together the flight feathers of predatory birds, which can ultimately be fatal to the attackers. Like other Fulmars their land movement is awkward, but they are strong flyers with characteristic rapid wing beats. They are more robust than the average seagull with shorter and thicker beaks. The Northern Fulmar arrives early on Svalbard and is the first bird to be spotted at Isfjord Radio as early as February. They will play on the winds around the point for months before they make their way to their nesting grounds. 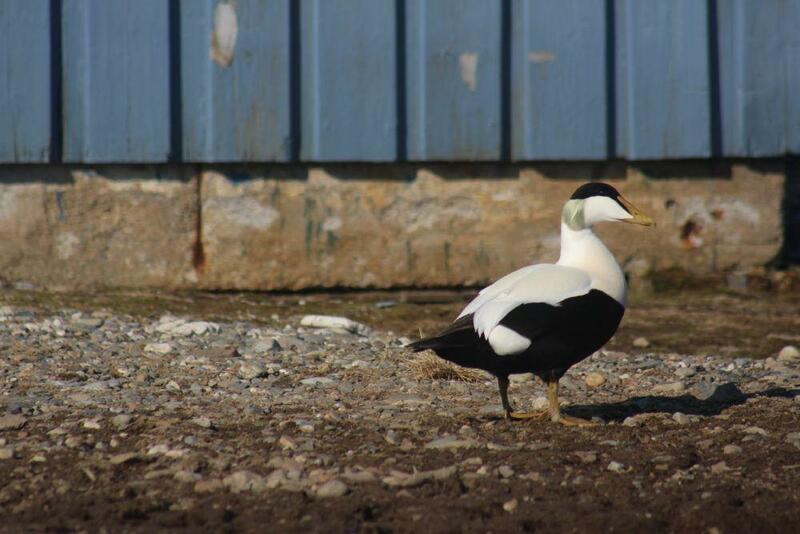 Common Eider, a part of the duck family, is a hardy and robust diving coastal bird. 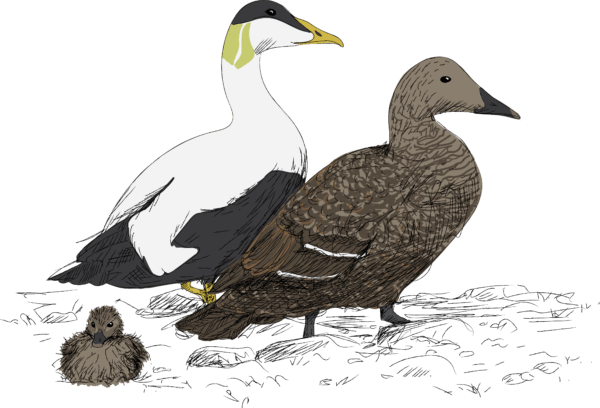 The Norwegian Eider population is made up of approximately 100 000 pairs (2017), but the population varies and in the population on Svalbard there has been a worrying decline. When moulting their flight feathers they are more vulnerable to threats, such as oil spills or human interference. 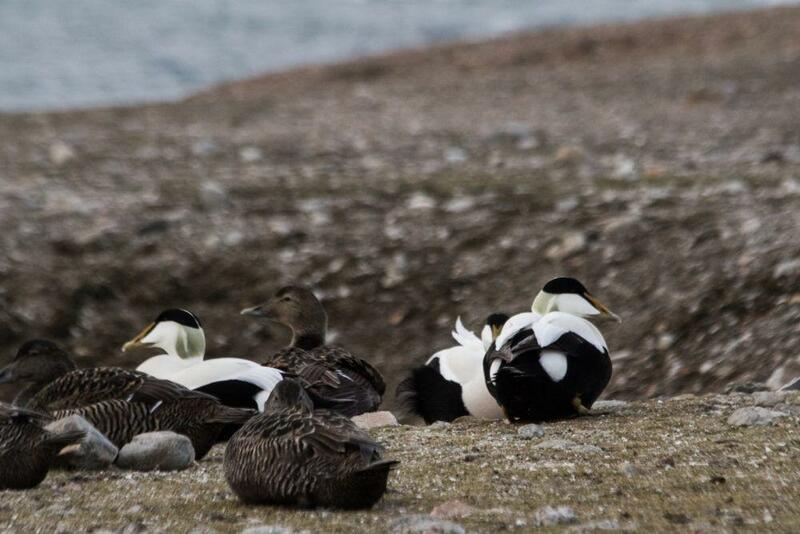 Another critical phase for the Eider is during nesting time when they are easy prey for predators such as minks, foxes, crows and seagulls. 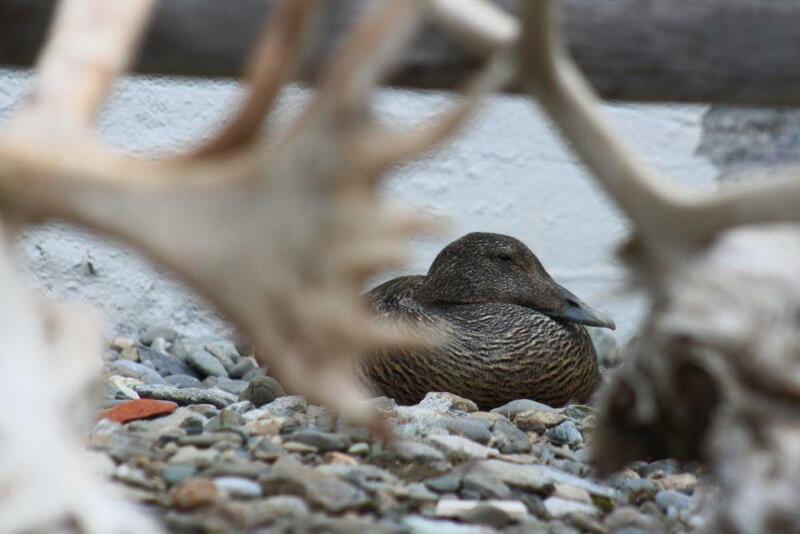 Over time the Eider population at Isfjord Radio has increased, with nests all along the buildings, by the dog yard and even inside the garage. 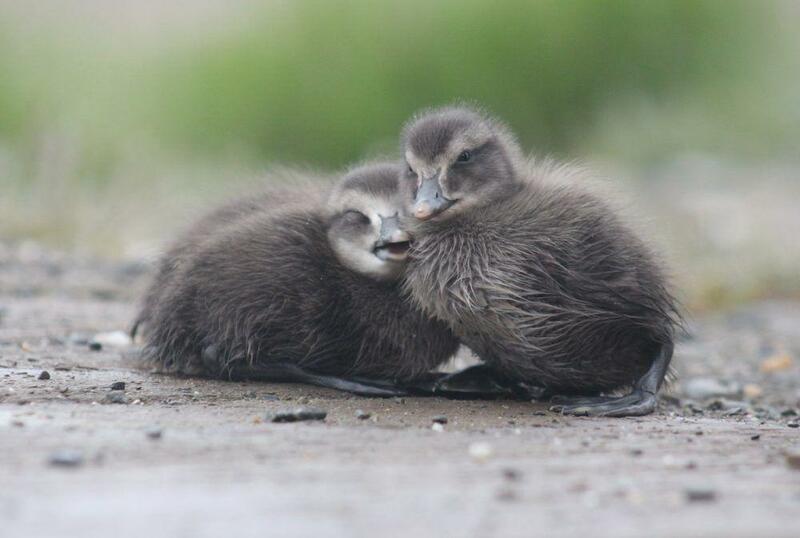 Hatching occurs during first half of July and it is an exciting time when the eggs hatch and the ducklings are being escorted to the water by their mothers and ”aunts” (the other females without any young of their own). 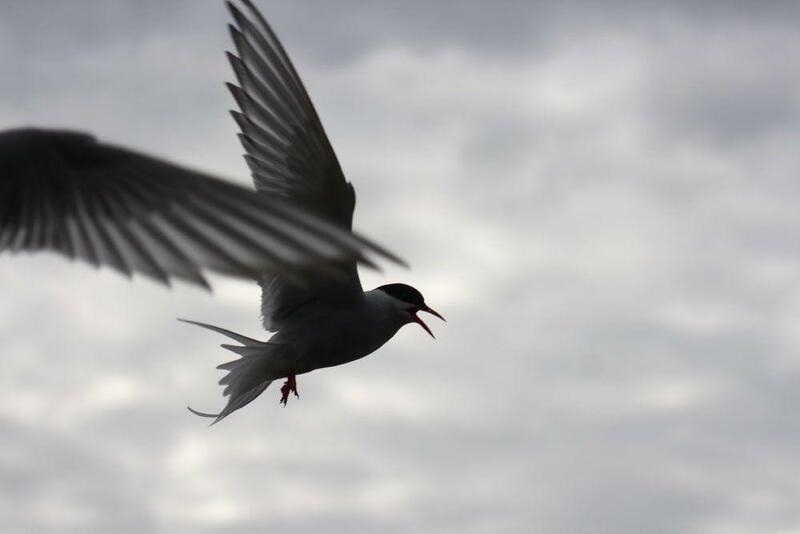 The arctic Tern is a coastal bird that belong to the family Laridae. 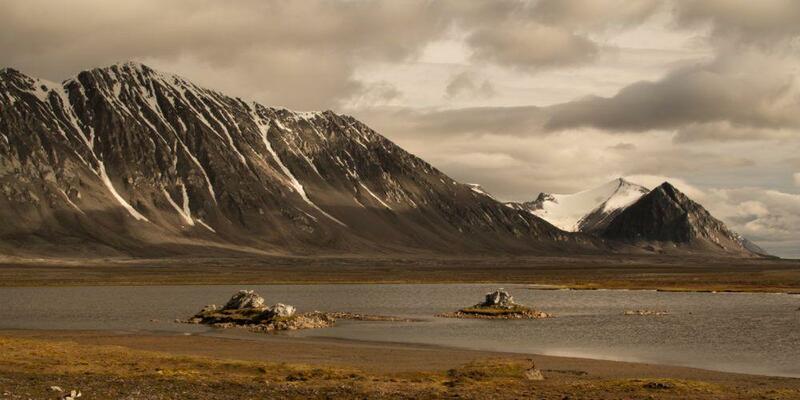 The species is strongly migratory, and migrate from their northern breeding grounds to the Antarctic coast, and then back again six months later. 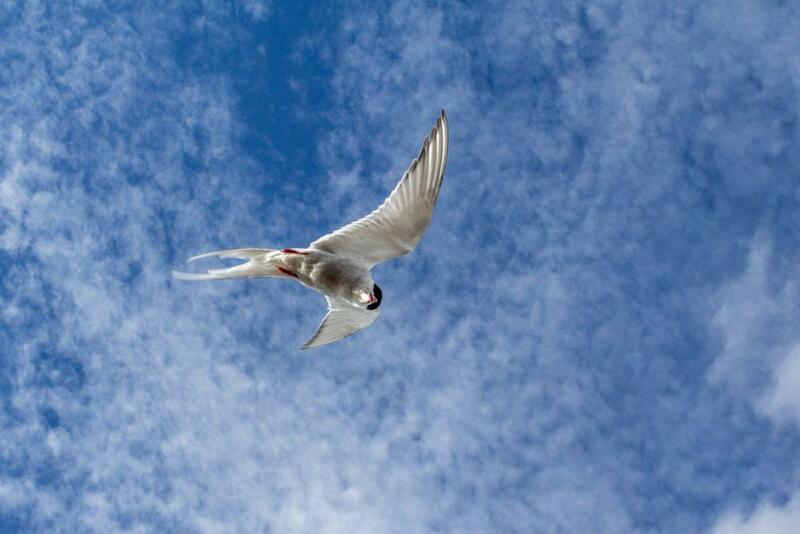 There is no other species that travels as far as the Arctic Tern, and they can travel 40 000 km in a year. 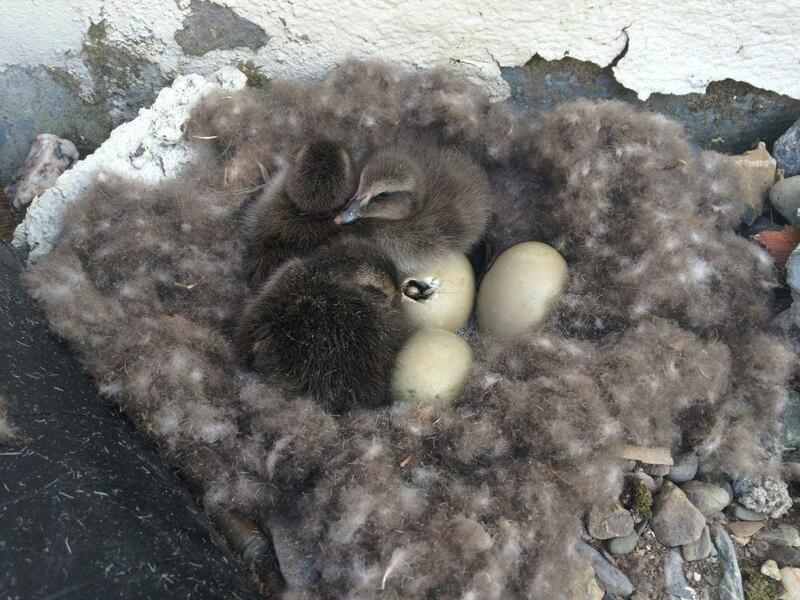 They are known for being very aggressive and protective of their nesting grounds, so be sure to cover your head whilst walking around the station, and look out for their very well camouflaged young in the nests! 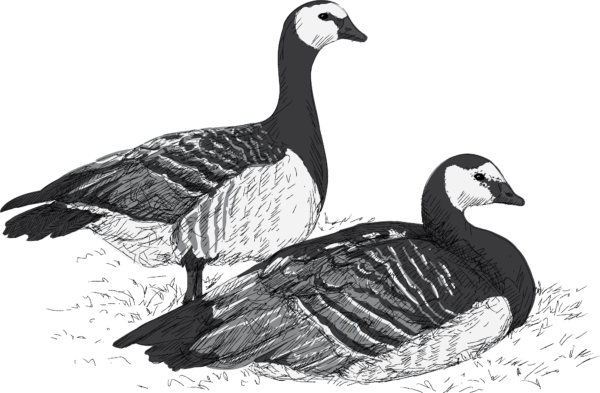 The Barnacle Goose is a coastal and wetland bird species that belongs to the goose family. 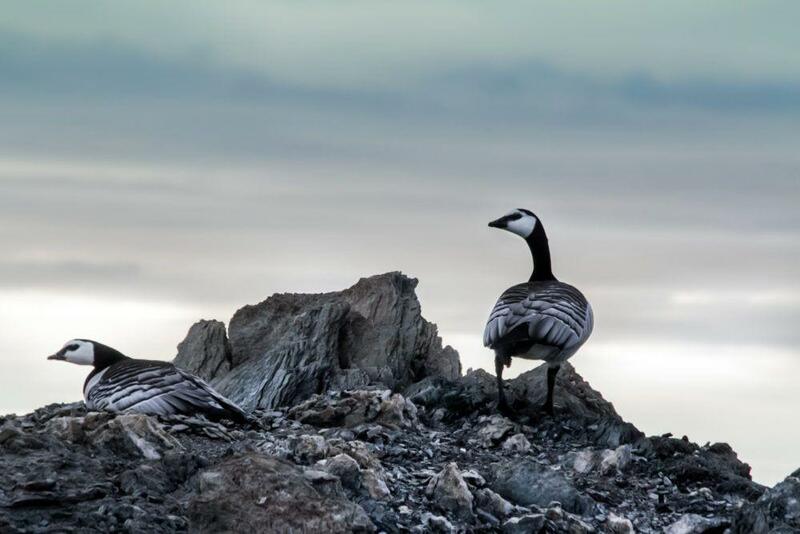 The Barnacle Goose is about 60–70cm long and weigh between 1,5–2,5 kg, with a wingspan of approximately 120–142 cm. The males are usually slightly larger in size. When breeding, the female lays 1–3 eggs. 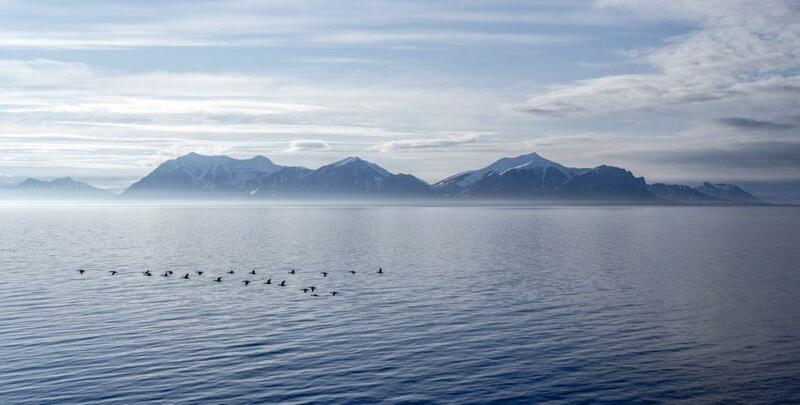 We have several nesting Barnacle Geese at Isfjord Radio. 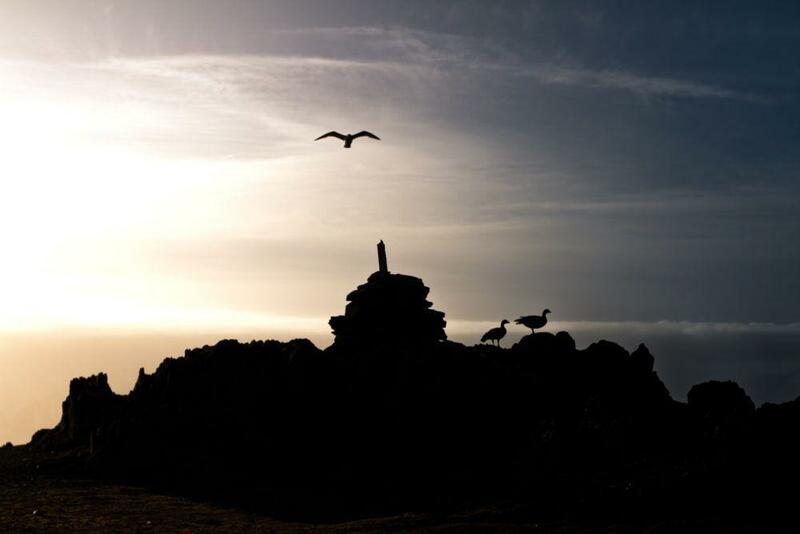 Our geese travel to Wales during the winter but faithfully return to us during the summer months. There are almost always couples nesting out by the lighthouse. Be careful whilst out in the terrain so as not to disturb our loyal friends! Arctic Skua is a seabird in the skua family Stercorariidae. It is a migrant, summering in the northern subarctic and arctic regions, and wintering at sea in the tropics and southern oceans. They grow to be approximately 41–46 cm and weigh around 330–610 grams, with a wingspan of 110–125 cm. The Arctic Skua is a hunter and a klepto-parasitic bird who will steal food from other birds by chasing them until they drop their prey or vomit from exhaustion. 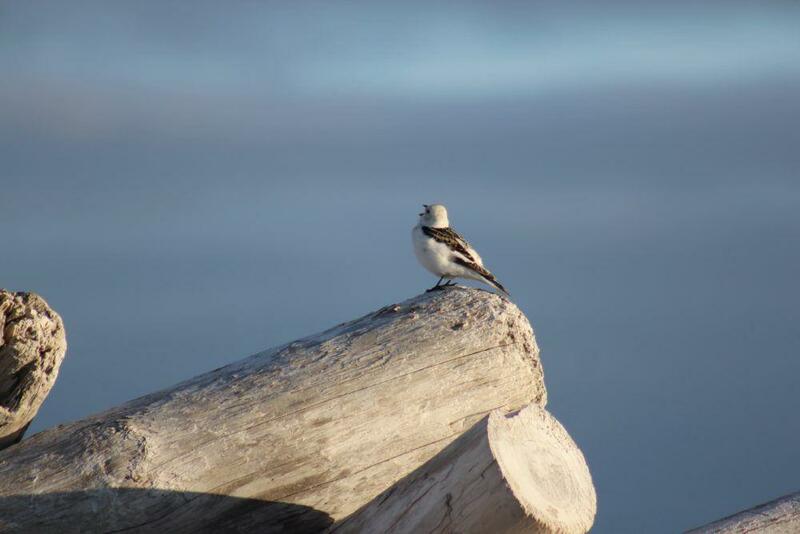 It is a distinct bird that nest on the edges of the coast throughout Norway. 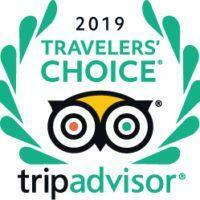 You can see it in our bird reserve and on the tundra around Isfjord Radio. They usually lay two eggs which will hatch four weeks later. Both parents nest and feed their young. 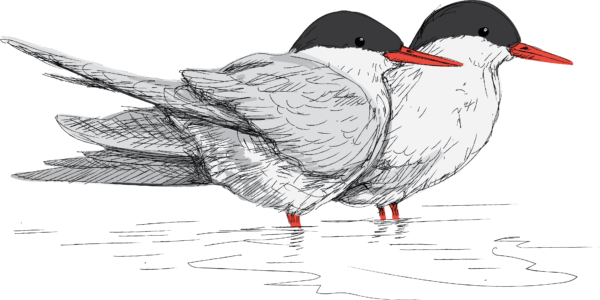 Similar to the Tern, they are agreesively protective of their young, and will dive bomb predators or perceived threats, with enough speed and power to draw blood, as well as spraying them with a foul smelling stomach oil. A very intelligent bird, they have been observed to feign injury in the presence of predators to draw attention away from the vulnerable young.